If you’re looking to build your business and customer base at a trade show display, you must create a stand-out booth. No one will approach your area if they aren’t immediately attracted to it. 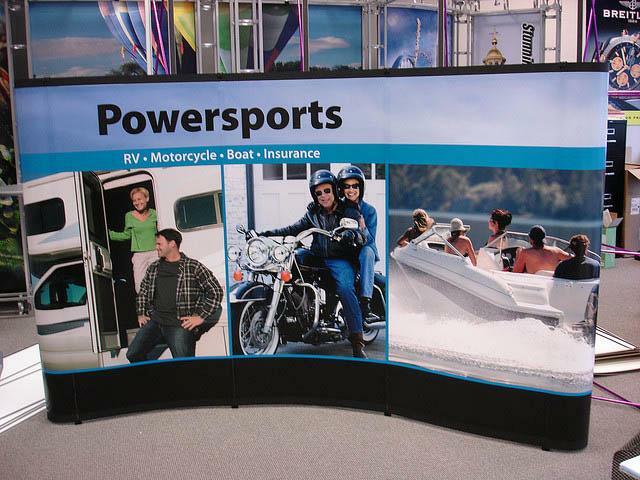 SpeedPro specializes in crafting brand-building trade show displays, and we’re more than ready to help your business. Our studio in Cleveland, OH seeks to build your business or organization a display that’s portable, versatile, durable and easy to assemble. If you’re looking for help with any upcoming trade show, give us a call! 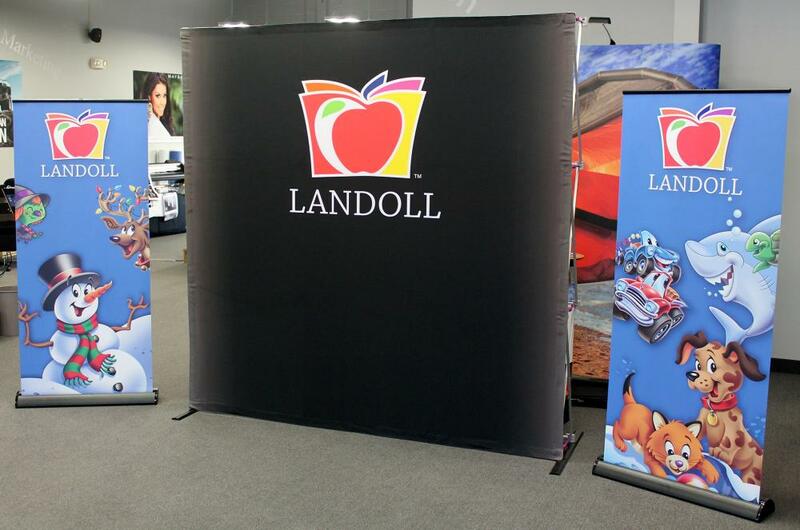 If you’ve never had a portable trade show display before, you’re going to want one. It’s much easier to attend multiple displays with a single portable booth than it is going around and continually setting up, tearing down and re-doing the process several times a week or month. Our portable accessories may be the perfect match for you! Our custom event tents that fold in on themselves can be easily transported from one place to another. 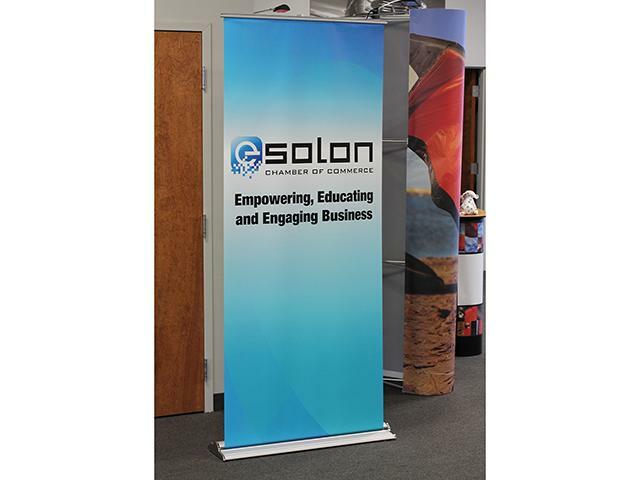 Retractable banner stands fit inside carrying bags in the same manner. In addition to front-lighted displays, we also offer backlit displays to help your brand shine at trade shows. Backlit displays use a rugged frame and LED lamps to light up a fabric graphic overlay. Use the frame and lights over and over again and still be able to change the message by getting multiple fabric graphics. The versatility of our products is evident in both indoor and outdoor settings. Our custom banners can be easily swapped between inside and outside, as both vinyl and mesh materials can be hung from grommets or attached to poles. You’ll create a uniform and eye-catching presence with your portable displays. 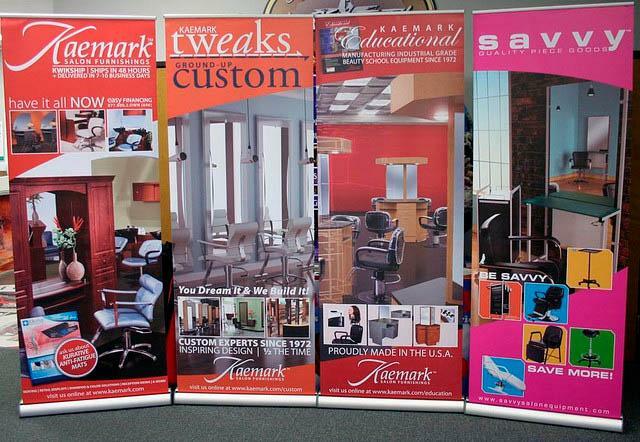 The biggest and most important factor of our trade show displays lies in their durability. We build strong customer relationships every day and know much of that trust comes from ensuring display items are long-lasting and able to be used for all upcoming events. Our large format printing would not be complete without our fade-resistant ink and lasting vivid tones. Many of our wall murals and decals are made with vinyl materials that can last for years when paired with the proper adhesives — without signs of wear and tear. And with the versatility of our banners, we can ensure they’re also durable and made to last. It’s these results that businesses and organizations search for to attract customers. We at SpeedPro can create portable and custom branded trade show display booths because of our direct partnerships with local businesses. Creating outstanding and bold graphics is achievable if we’re able to understand the messages and ideas you’d like to present at events and shows. If your business or organization is located in the counties of Cuyahoga or Summit, stop by our studio. We want to have a one-on-one consultation so that we can build the trust and understanding that allows us to brand your business effectively. To understand the dynamic extent of our displays, read more about our trade show offers. Then, call us today for your next show!